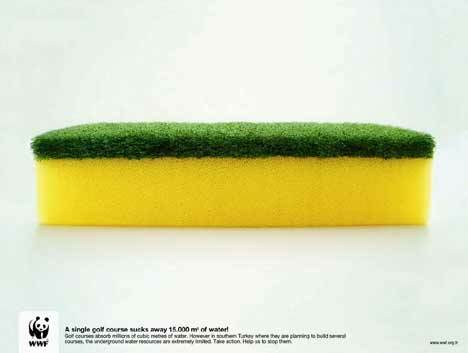 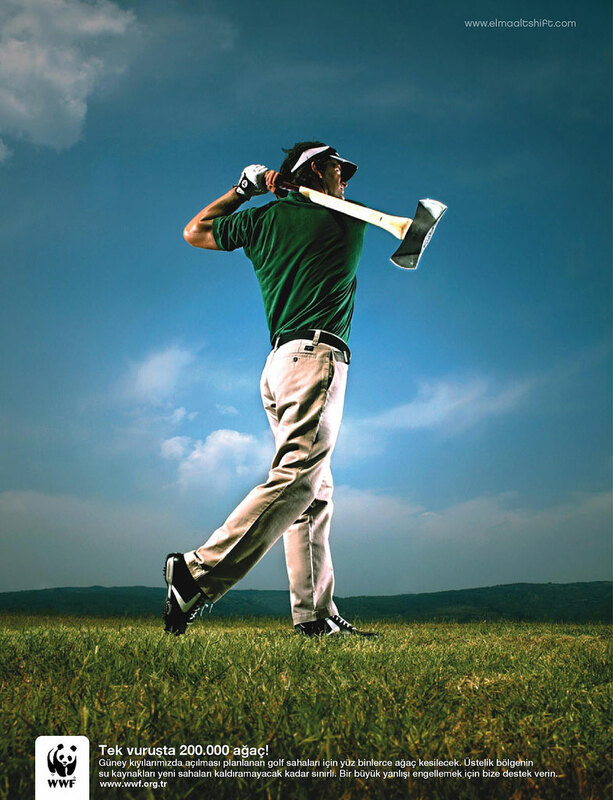 World Wildlife Fund Turkey launched an advertising campaign warning about the environmental impact of golf courses, including these two posters, “Sponge” and “Axe”. 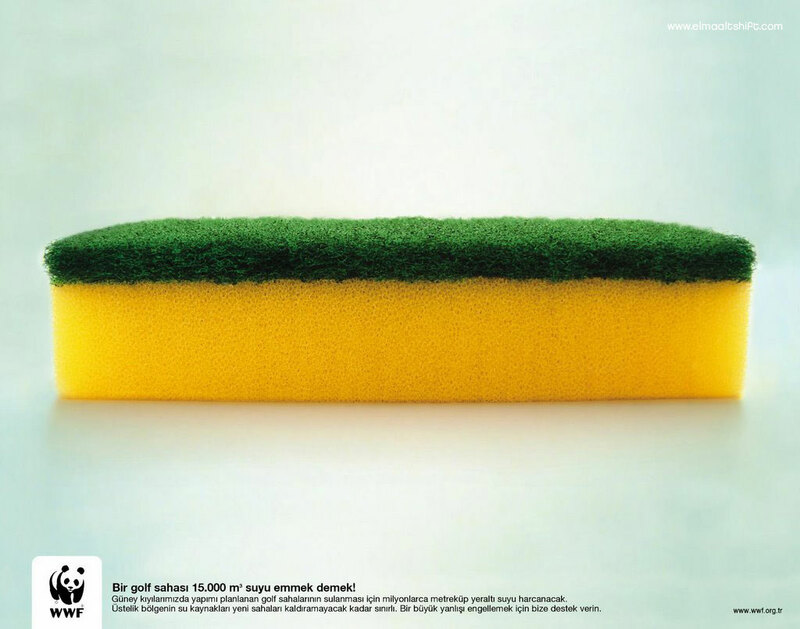 The campaign was developed at Ogilvy & Mather Istanbul by creative director Tibet Sanlıman, creatives Ergin Binyıldız, Can Pehlivanlı, Cengiz Pulgu and Rosita Habib, agency producers Onur Mis Kafadar and Okan Cezayirli, and photographers Nejat Talas and Uğur Vidinligil. The posters won a silver award at Epica 2006.